Used 10μL of each sample for measurement (see Results for update). 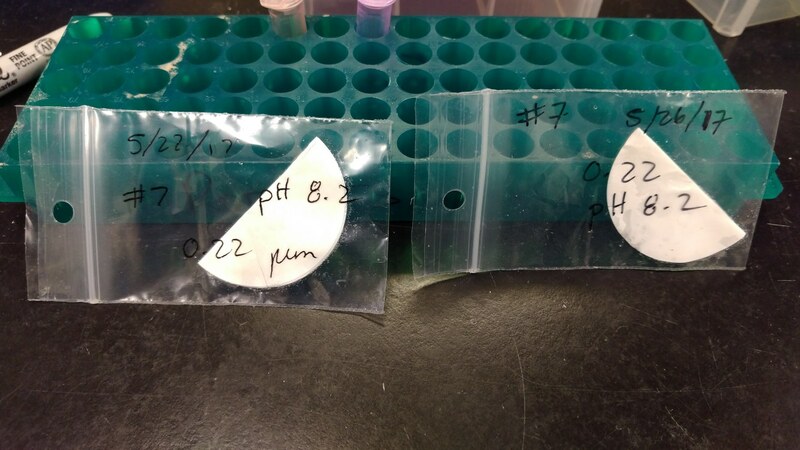 NOTE: For “filter 5/22 #7 pH8.2″ the initial quantification using 10μL ended up being too concentrated. Re-ran using 5μL. Both samples have yielded DNA. This is, obviously, an improvement over the previous attempts to isolate DNA from ammonium bicarbonate filter rinses that Emma supplied me with. Will discuss with Steven and get an idea of which filters to isolate additional DNA from.